The exhibition is supported by a grant from The George A. and Grace L. Long Foundation. In Place came about because of a milestone celebrated recently at the Museum. Eight decades ago, as Florence Griswold neared the end of her life, the riverside property she cherished was sold to pay her mounting debts. Between its founding in the 1940s and the late 1990s, the Florence Griswold Museum gradually reassembled these pieces of land, forming a historic site of over 11 acres. In 2016, the last remaining parcel in private hands was purchased by the Museum, restoring Miss Florence’s original 13-acre estate. 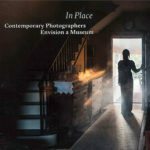 Through In Place, the photographers draw attention to unfamiliar edges and hidden treasures, delve into the past, and create narratives that reflect on personal histories and on the legacy of the art colony that came before them. Four photographers, Marion Belanger, Alida Fish, Ted Hendrickson, and Tom Zetterstrom consider the historic site in terms of nature and time’s passage. Belanger immersed herself in the museum’s landscape and collections, creating three studies—Garden Study, Ranch House, and Outside Edge—that appear as printed books (published by Roman Nvmerals), and as photographs on the wall. These images are juxtaposed with a video/sound piece and archival remnants that informed Belanger’s research. Her project investigates how boundaries reflect changes upon the land and demarcate differences between the familiar and the unknown, the contained and the wild. With a wry sense of humor and playing off his interest in the intersections between time and place, Hendrickson surveys the evolution of the museum’s landscape over the course of a year for his Lawn Series. These images and his others demonstrate changes not only in the passage of the seasons, but also the way visitors, and even mice, contemplate, occupy, and modify the landscape. Fish, who is the granddaughter of one of the Lyme Art Colony painters, delves into the artist Willard Metcalf’s naturalist collection, which is housed at the museum. In her work, Fish seeks to create a world of her own invention from these organic materials, stating, “Time has taken its toll on many of the pieces. 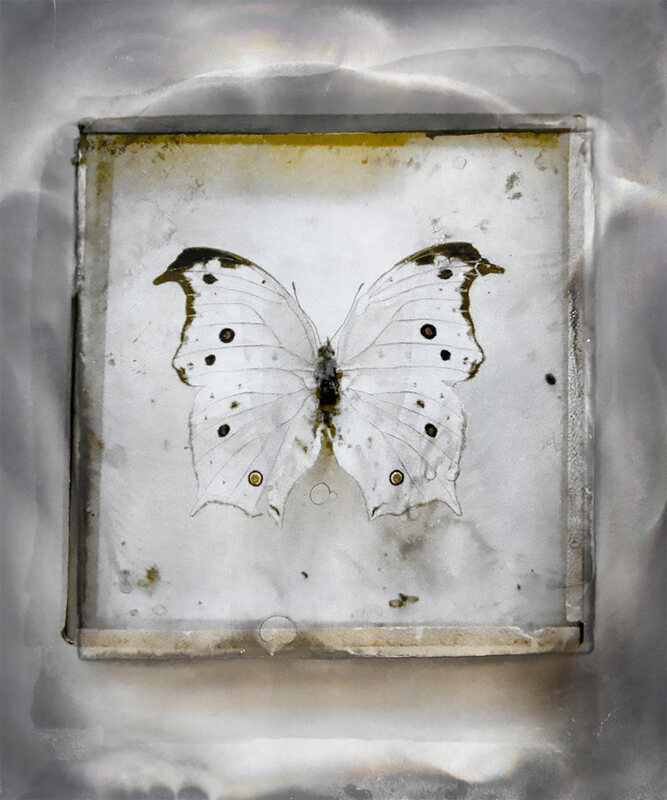 It is the persistent beauty of the objects that most interests me—especially the fragility of the butterflies and moths.” She shoots with a digital camera, and then turns to historic methods to process the images, transferring her archival pigment print photographs onto oxidized aluminum plates. The product is a unique object with a textured surface and an ethereal silvery hue that echoes that of the moths and butterflies depicted. 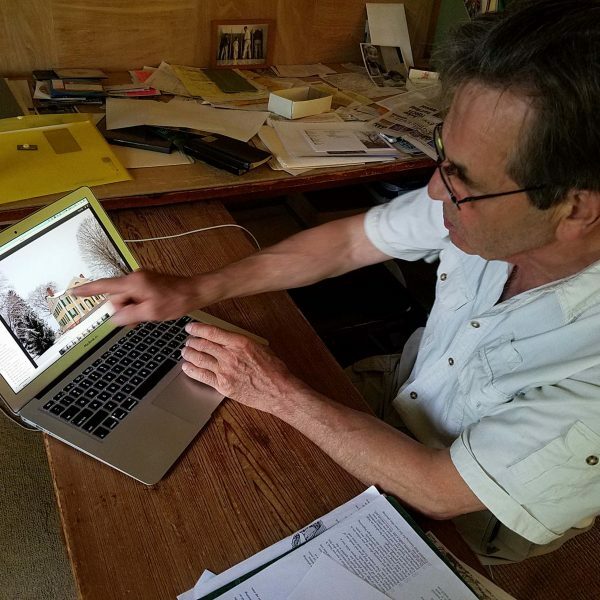 Zetterstrom is known for his photography of North American trees and landscape, and as an engaged tree preservationist and activist. For him, the Museum’s campus was a rich natural resource to explore and interpret. 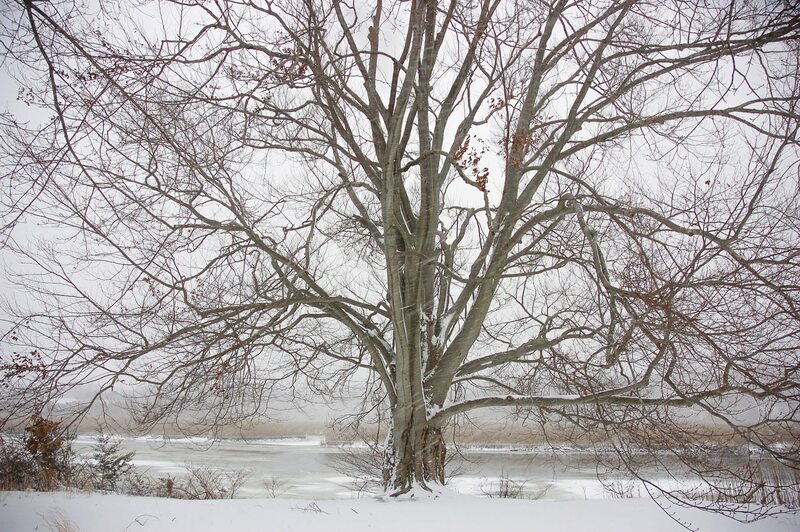 Zetterstrom choose to shoot in winter in order to better examine the scale and relationship of the trees to the surrounding architecture, a reflection of the artist’s longtime interest in changes to the New England agrarian landscape. Kate Cordsen, Peter Daitch, and Sophie T. Lvoff approached their consideration of place in abstract terms, producing work that takes the museum as a point of departure for formal and conceptual contemplation. Cordsen invokes the abstract works of Harry Holtzman and Piet Mondrian in the Museum’s collection as the starting point for her work in the historic medium of cyanotype. Using abstract forms, she composes her large-format photographs through a demanding process that requires both physical, painterly dynamism, and chemical precision. In this way, Cordsen explores the tension between chance, accident, and control. For her large-scale Murmurations (Cyanotype on gessoed linen, 51 x 120 inches) Cordsen uses pliage, a fabric folding technique, to create the whirling arcs of the migrating swallows that swoop and soar over the nearby Connecticut River. Daitch takes landscape and architecture as a starting point, but uses his camera to transform and simplify them into formal elements of light, color, and shape. His work recalls that of the Tonalist painters who visited Old Lyme in its rendering of the landscape in subjective terms. Lvoff’s project operates on several levels. She researched Florence Griswold and the community of artists she created, the museum that has grown into, and the town whose enduring tourist appeal derives from those historical connections. Using a historic process, Van Dyke brown prints, in which the photographic emulsion is applied in painterly strokes to create a sepia-toned image, Lvoff replicated transparencies of paintings and historic photographs from the museum’s collection. As a tribute to the legacy of the artists who have come before her, Lvoff took color photographs of icons in the town such as the Griswold house and the First Congregational Church, as well as a barbershop shot in homage to the legendary vernacular photographer Walker Evans, who lived in Lyme. Lvoff’s multimedia installation incorporates postcard records of her research, archival objects, and film footage. 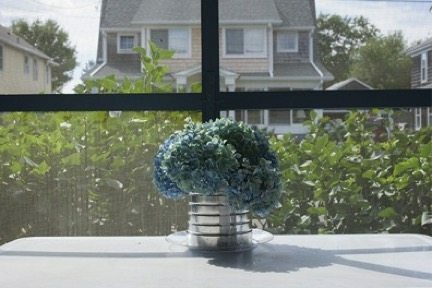 Artists Tina Barney, Adrien Broom, and James Welling use the iconic Griswold House as a catalyst for their work. A pioneer of large color photography as fine art, Barney continues her exploration of the visual and emotional connections between people and their surrounds using the historic Griswold House as a backdrop. “I’m interested in relationships, people, the way they move and the way they walk, the way a room is set up. The sociological. It’s like I have blinders on,” Barney states. “I see the formal parts of putting a picture together, paired with the human figure, and human emotions.” Barney describes the Griswold house as a “visual feast” that served as “mysterious and timeless” stage set for her models. 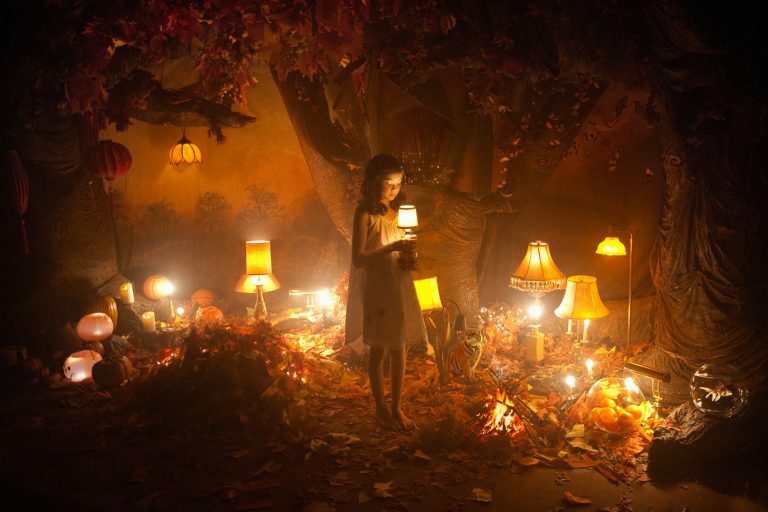 Broom, known for her elaborately constructed and often fantastical scenes, uses the Griswold House as a muse for a narrative that invokes memory, loss, and the continuity of relationships over time. A model placed in the historic rooms recalls Florence Griswold and the community of friends she created. Broom’s use of dramatic staging and lighting in her images suggests that the legacy of Miss Florence and the artists poignantly endures. Welling explores the museum and artistic heritage of the area through the lens of family history and his personal experience as an artist who first shot photographs in Old Lyme in the 1970s. A groundbreaking photographer who has pushed the medium in new directions through experimental color photographs and camera-less photograms, Welling returns to conventional methods for his continuing Life Studies series, of which the recent Old Lyme work is part. 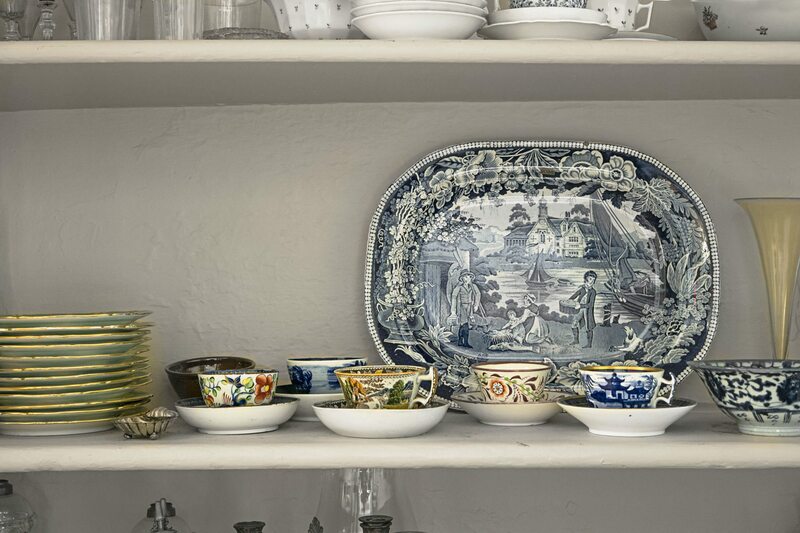 Welling turns everyday household objects and fragments of architecture into springboards for remembrance, completing a family narrative that began eighty-five years ago when his grandfather studied art with Lyme Impressionist painter Wilson Henry Irvine. 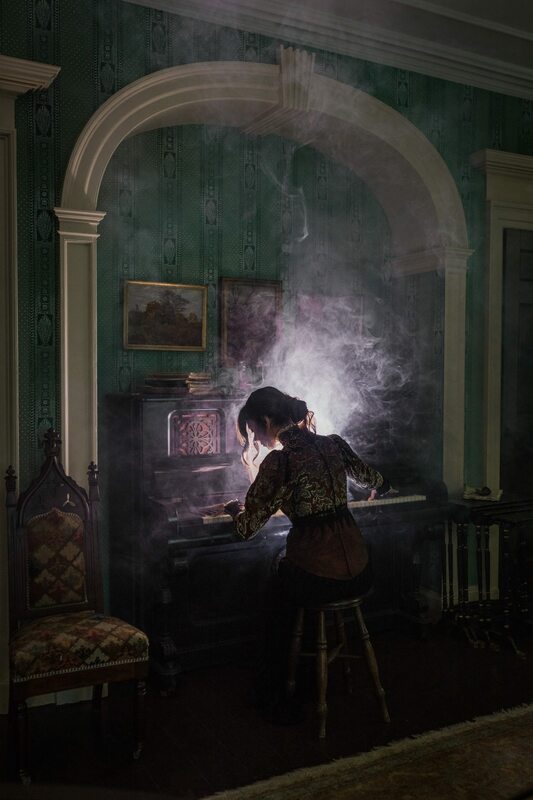 Most of the ten photographers selected for In Place are established artists; they have challenged their medium, constantly exploring technique and theme in new directions prompted by this project. Several are younger, emerging artists who continue to push themselves and their art in exciting ways. In a world where virtual images inundate society through digital channels, these photographers have rediscovered on the viewer’s behalf the inspiring, fulfilling, and thought-provoking potential for connection to place. 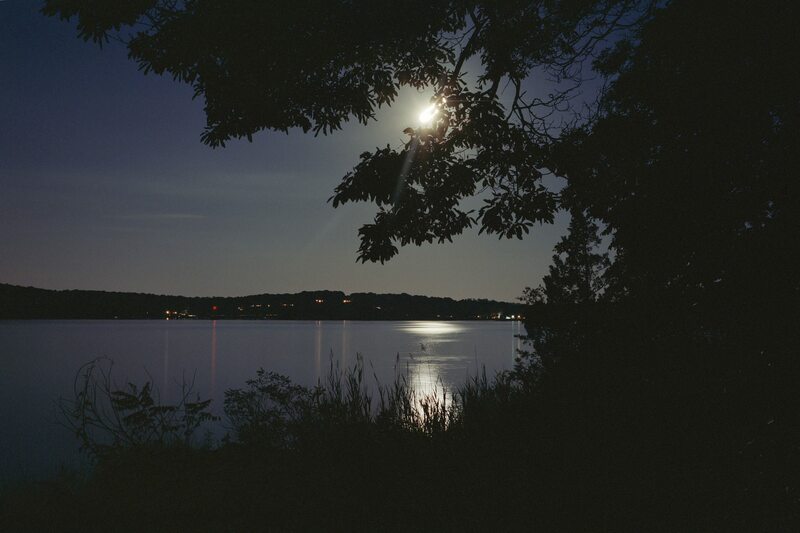 Sophie T. Lovoff, Sturgeon Moonlight, 2016 (after Florence’s Moonlight, 1905, 2016. Archival Ink Jet Print. Courtesy of the artist. James Welling, 0549, 2016. Inkjet on rag paper. 15.66 x 23.5 inches. Courtesy of the artist and David Zwirner, New York. Tom Zetterstrom, European Beech on the Lieutenant River, 2016. Archival pigment ink print. Courtesy of the artist. Tina Barney, The Print Dress, 2016. Chromogenic color print, 40 x 50 inches. Copyright Tina Barney, Courtesy Paul Kasmin Gallery. 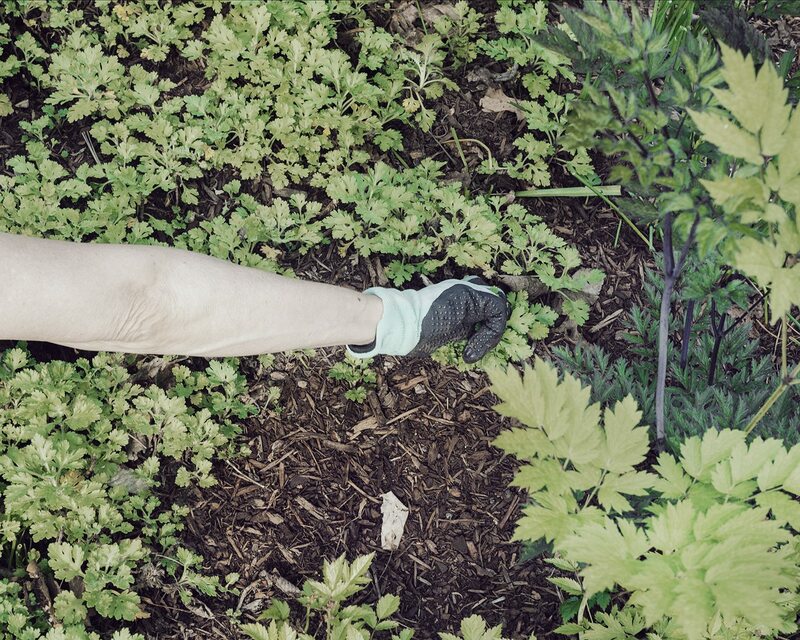 Marion Belanger, Garden Study (Untitled), 2016. Courtesy of the artist. Kate Cordsen, Murmurations, 2016. Cyanotype on gessoed Linen. 51 x 120 inches. Courtesy of the artist. Alida Fish, Metcalf Collection #1, 2016. Pigment transfer print on oxidized aluminum, 24 x 20 inches. Courtesy Alan Klotz Gallery. Ted Hendrickson, Fog, December 14, 2015 Courtesy of the artist. Share YOUR "My FloGris Moment"
Visitors of all ages are invited to find (and photograph) their “own” Florence Griswold Museum. In the spirit of the upcoming exhibition, we are asking our visitors to share their own distinct vision of the Museum. Like the commissioned photographers, visitors can look inside and outside, find their quintessential Florence Griswold Museum moment, and capture it with a camera, smart phone, or tablet. A selection of submissions will be shared digitally in the exhibition and on the Museum’s website. Barney’s photography career began in the mid 1970s while living in Sun Valley, Idaho. She began photographing in color with a large format view camera just before returning to New York in 1983. Her iconic tableaus portraying the daily life of the social elite are in the permanent collections of numerous institutions including the the Museum of Modern Art, the Whitney Museum of American Art, Los Angeles County Museum of Art, and the Museum of Fine Arts, Boston, among many others. Barney’s works were included in the 1987 Whitney Biennial, and recent solo exhibitions include The Europeans at the Frist Center in Nashville, TN and The Europeans at the Barbican Art Gallery, London, UK, which traveled to the Museum of Art, Salzburg, Austria. Belanger’s work flirts with fact, knowing full well that the two dimensional plane of the photograph is an image, an object, a visual construction. The photographic archive becomes a collection of perceptions, a container of memory, and the images not unlike words in a poem: repetition, space, tone, color, and the sharpness of focus, all create meaning and provoke feeling. She photographs where the cultural and geologic landscapes intersect, and often entwine. Increasingly the differences between the wild and the contained, the fertile and the barren, and the natural and the artificial has become narrowed. The dichotomy (or lack of) creates a visual tension that questions the uneasy relationship between geologic force and the limits of human intervention. Belanger’s Rift/Fault monograph, printed by Radius Books with an essay by Lucy Lippard will be available by early December. Broom is fascinated by the contrast between adult and childhood imagination and works to find balance between the two. Her work is created with hands and love, not photoshop. Broom received a BA in Computer Animation from Northeastern University. She continued her studies in Italy, followed by a program in Fine and Decorative Art History at Christie’s in London. For In Place Broom alludes to times past and places unseen in her series of “Portal” images. Broom constructed an installation on the museum grounds mean to act as a portal or frame. She returned to the site through out the seasons and construct alternate scenes to be viewed through this gateway. The scenes hint to the timeless of the grounds, and possibilities just beyond our sight. 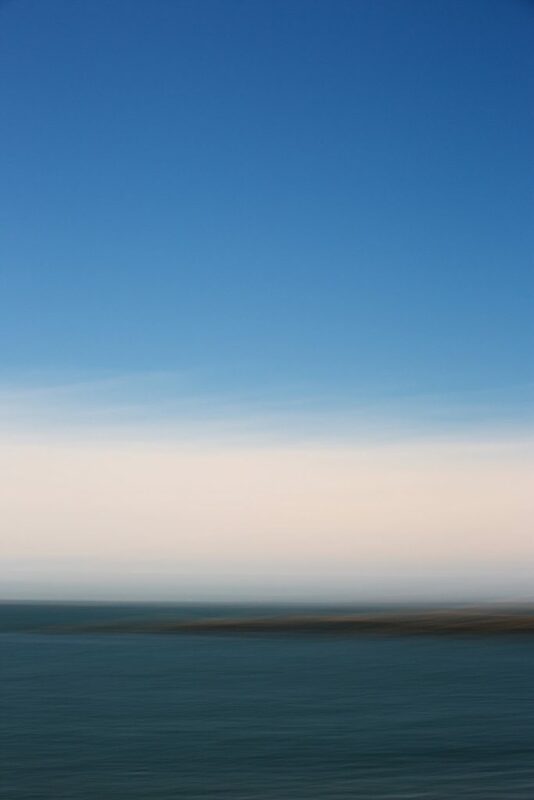 Kate Cordsen is known for her large format ethereal landscapes. She uses a variety of photographic processes – often combining 19th century cyanotype and gum bichromate methods with traditional film and digital technologies – to extract both representational and abstract imagery. Deeply influenced by her time living in the Philippines and Japan as well as her training as an art historian specializing in Asian art, her work is meditative and multi-layered. Focusing on the ephemeral nature of life, her landscapes are imbued with the philosophy that the natural world has numinous, benevolent qualities and is a mirror of human emotions. For the Museum, Cordsen is creating two new bodies of work that are a departure from her magical realist landscapes. Both series are cyanotypes and are directly inspired by the Museum’s permanent collection, specifically the early modernists. Through the formal language of geometric abstraction, Cordsen is further exploring the definition of the landscape. Daitch received his BFA in Photography from the University of Bridgeport. His most recent work focuses on unique abstracts and expressionistic landscapes taken from nature and the colorful world around us. 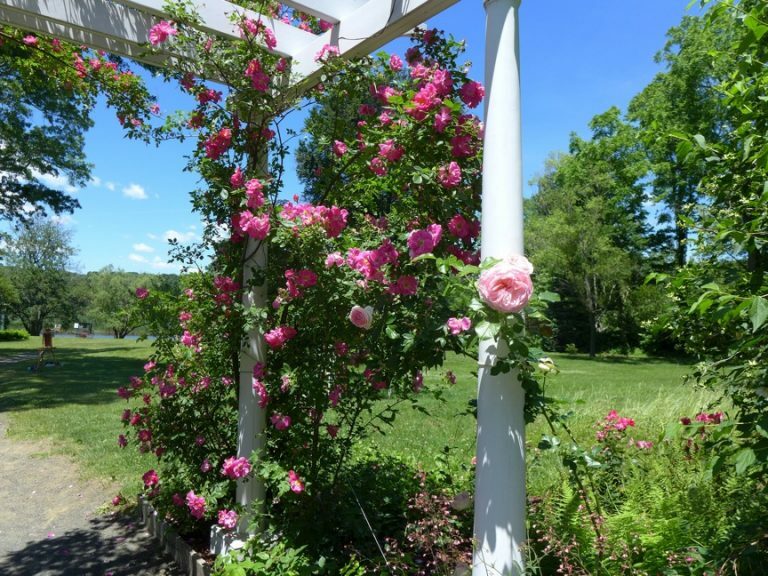 Living in Lyme, Connecticut with his family for over 20 years, many of his photographs were inspired and created in the Connecticut River Valley known for it’s natural beauty and light. His portfolio includes images from Brazil, Bahamas, Colorado and New England. Fish is the granddaughter of Clark Voorhees, one of the original Lyme Art Colony painters. Her work focuses on evoking realms of her own creation. She constructs stylized interpretations of botanical and natural specimens, bodies, art, and architectural fragments. Through a combination of handwork and digital and darkroom techniques, Fish suggests the pulsation and wonder of life in the world around us. While much of her earlier work is printed on photographic papers, for the past fifteen years she has preferred to use metal and a range of artists’ papers. 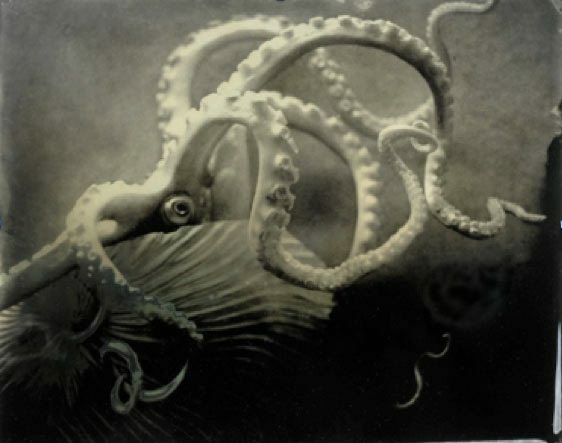 Printed on metal, her images recall the earliest years of photography, when naturalist collections provided fodder for scientific and aesthetic experimentation. During the past four decades, Ted Hendrickson’s photographs have explored the nature of landscape as image. Ranging from man-made scenes of the built environment to the wooded and coastal landscape that comprises what is left of “nature” in Southern New England, Hendrickson’s laconic personal views can be simultaneously poetic, comic, tragic, or mysterious. His work records layers of geologic and human history in a concise, straightforward style without overly injecting the drama of the picturesque or the clever abstractions of the camera’s frame. Emerging photographer Sophie T. Lvoff signals the new and diverse directions in which the field is moving. Lvoff studied Photography and Philosophy at NYU’s Tisch School of the Arts before receiving an MFA from Tulane University in 2013. She works in film, video, and on curatorial projects, having completed a residency at Ecole du Magasin in Grenoble, France, in 2014-15. Lvoff’s documentary work has been compared to that of color photography pioneer William Eggleston, as well as Larry Sultan and Walker Evans. 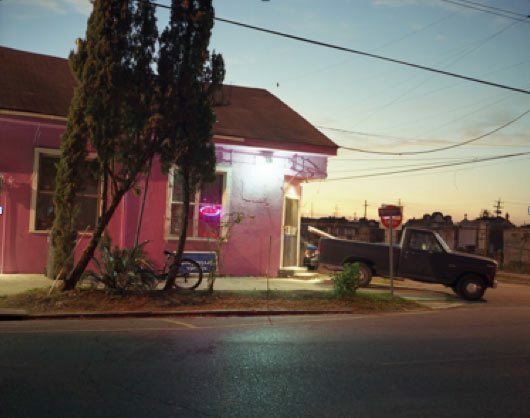 In her views of New Orleans’s streets or of less urban areas explored in series about salt mines and the landscape at night, she discerns the fine line between human intervention and nature’s subtle, mysterious qualities. One of the leading photographers working today, James Welling has played a significant part in redefining and expanding photography’s role in contemporary art. He has tested the limits of the medium with his embrace of digital techniques and has looked back to its roots, creating works that juxtapose and blur the boundaries between past and present, photography and sculpture, cultural and individual memory. Welling has completed several series that consider the homes and workspaces of American artists and architects he admires, including Andrew Wyeth and Philip Johnson. James Welling has exhibited his work internationally, including at the Whitney Biennial and Documenta IX, and is the recipient of numerous prizes. In 2014, he was a recipient of the Infinity Award given by the International Center of Photography. His photographs are in the collections of major museums around the world. Since the 1970s, Connecticut native Tom Zetterstrom has traced the impact of environmental change in photographs that consider the impact of sprawl against the strength and nobility of trees. Zetterstrom depicts the native habitats of his subjects as well as their change and adaptation across seasons and years. His work is represented in forty public collections, including the Florence Griswold Museum and has been exhibited at The Mint Museum, the J. Paul Getty Museum, and at the Iris and B. Gerald Cantor Gallery at Holy Cross, among others.